The beer comes out of the bottle a murky copper color with an off white head. The smell is very bready and nutty with hints of marzipan (almond candy) and some raisin along with grain and cereal. A strong carbonation bursts onto the palate, delivering some serious liquid bread. Sweet, bready and raisin flavors are the most bold with the usual yeast spice and booze that runs into a residually sweet finish which quickly snaps dry at the very end, leaving nothing but a prickly carbonation feel. More flavors that develop as it warms in the glass are port, brandy, grape, raisin bread, toffee and estery, spicy yeast on the end. It is medium to full bodied, a bit chewy with lively bubbles. 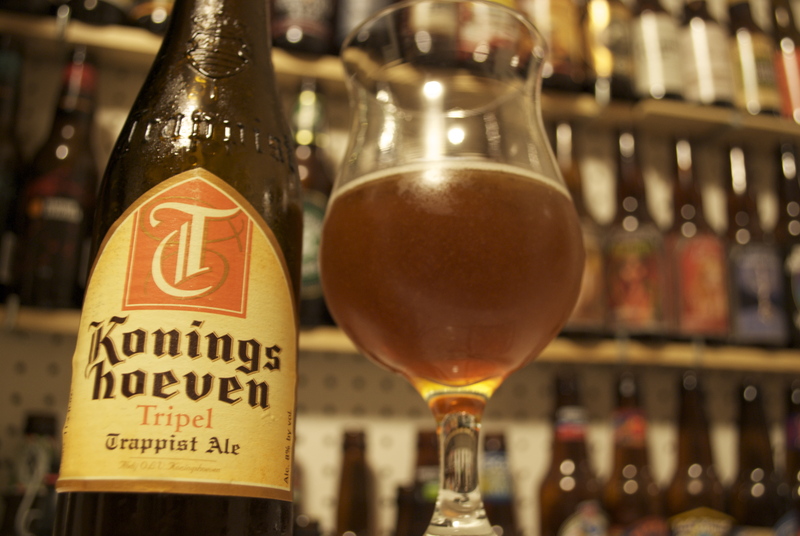 It is dark for a Tripel and doesn’t have as dry of a finish as most do. Thanksgiving is around the corner, and I think this would really go well with pumpkin pie. The breadiness, the spice and the sweet will meld with the pie’s flavors, and the carbonation will lift it and any whip cream from the palate.